With over 50 years of combined experience in running their own small businesses, Tina Boden and Tony Robinson OBE know what they’re talking about when it comes to running a successful micro business. 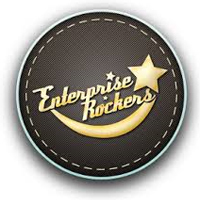 As co-founders of the Enterprise Rockers CIC (a global self-help community of micro enterprise owners), Scarborough-based Tina and Tony are two of the UK’s most well-respected authorities on start-up initiatives and micro business issues. They have the background and credentials to back up their invaluable business advice and guidance. A third generation self-employer, Tina bought her first business at 21, having worked in her parents’ business from the age of 12, while Tony is the author of seven micro business books (including ‘Freedom From Bosses Forever‘) and in 2001 received an OBE for services to small firms and training. Here they provide their top five tips for those setting up their own business, as well as anyone who might be considering it. Whatever stage of trading your business is at, whether it’s growing healthily or ticking along, you need to be continuously looking at where your future income will come from. You’ve got to be fast on your feet in developing new income streams all the time, whether that’s testing out new products, networking within a potential market, or working out how you can do more with your existing customers – constant reviewing and innovation are key. Work collaboratively as much as possible. It’s tough for your fledgling business to survive its first 18 months on its own, so make sure you’re working with as many people with the specific skills that help you as you can. It’s also vital to bear in mind that the attitude that every person in your marketplace is a competitor may be fine for large companies, but doesn’t really fit for micro start-ups and small businesses. 95% of the UK’s business are micro businesses, so imagine what could be achieved if more of them were working together! Astute networking when the opportunity presents itself is a key ingredient in success. Passion is important, but realism and resolve are what will make your business successful. You have to start with passion (if you’re not passionate about what you’re doing then you can guarantee no one else will be) but if you find that what you’re doing isn’t working then try something else, move on. You have to be honest with yourself about the state of your business, and be realistic about what you can do. As part of that realism, strip down any expense that isn’t absolutely necessary. Being as lean as possible is crucial to new businesses, so you need to have a firm grip on your outgoings and think honestly about what expenses you can do without. If you’ve set up your company with a vision of flash cars and extravagant lunches within a couple of months then you may have misjudged your career choice! Going it alone can be exhilarating, but make sure you’re taking advantage of reliable sources of advice and business support. One of the most helpful things for any business owner – newbie or old hand – is a mentor. Having someone who’s already experienced what you’re going through can be both a source of comfort and a great person to go to for impartial, informed advice. Finally, you must take advantage of useful technologies as well. In a world of smartphones and e-business there’s a plethora of tools which can make your life easier and your business more efficient, from time management apps to easy-to-use, online software such as Sage One Accounts and Payroll.